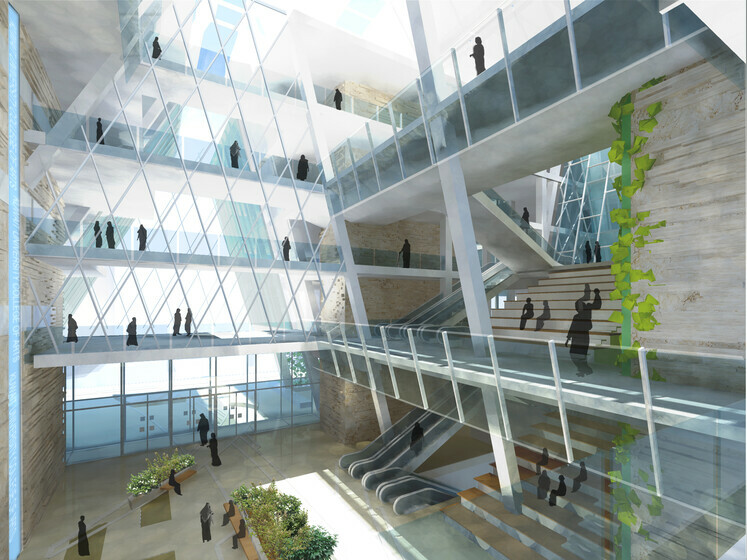 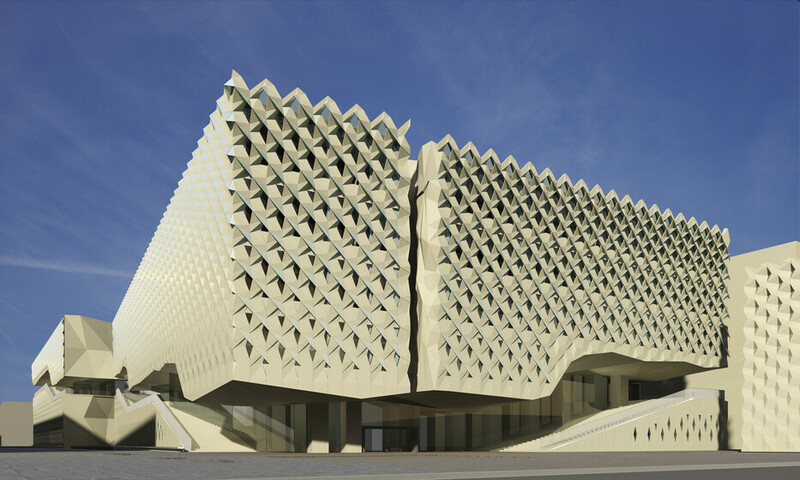 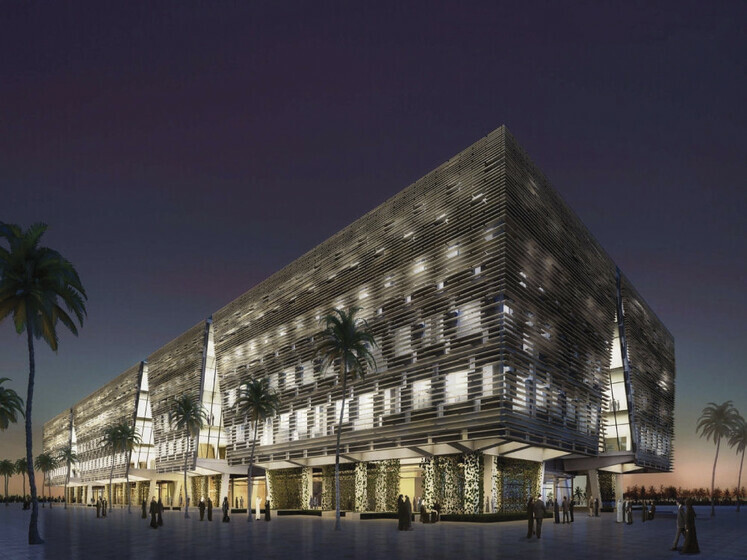 One of the first sustainable university buildings in Kuwait, CoA is boldly shaped to respond to its harsh climate. 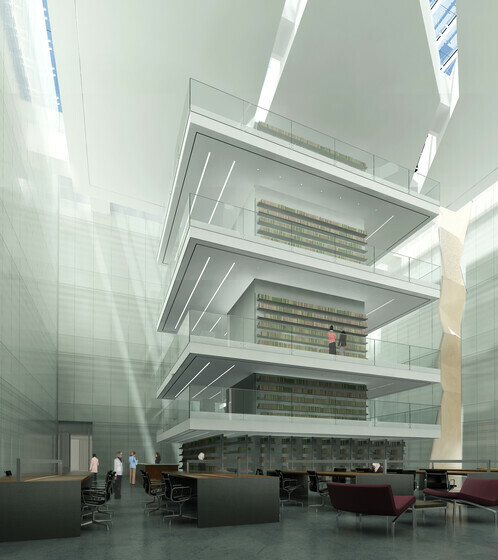 Beginning with raising the entire building to create an academic oasis beneath, the design creates a gradual transitional sequence from the bright and hot outdoors, to a visually and thermally comfortable space indoors. 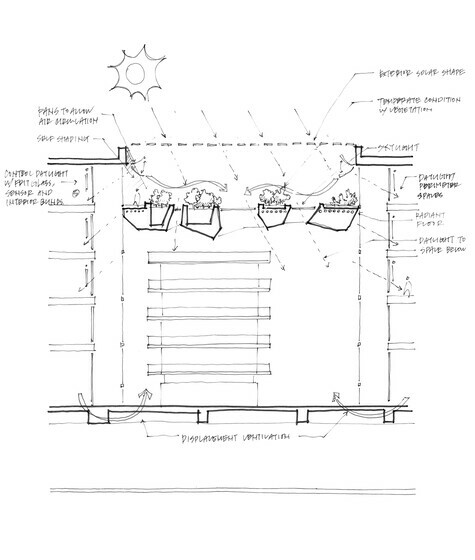 Exterior envelope design and the use of thermal comfort zones are two main factors that drove this building’s design. 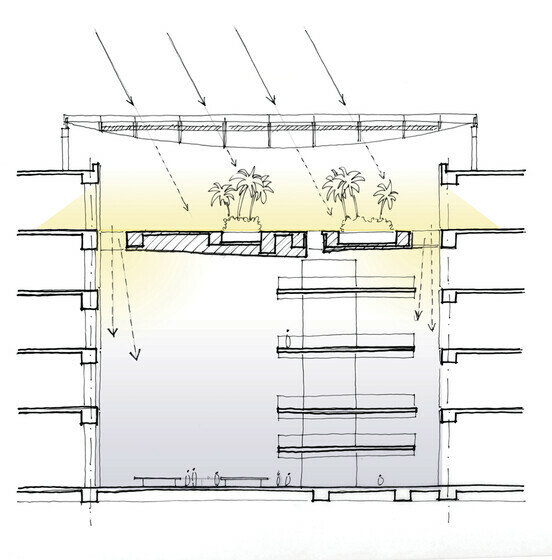 Occupants experience well-lit indoor spaces due to the façade’s configuration and can easily transition to outdoor spaces shaded from the sun by the building overhead. 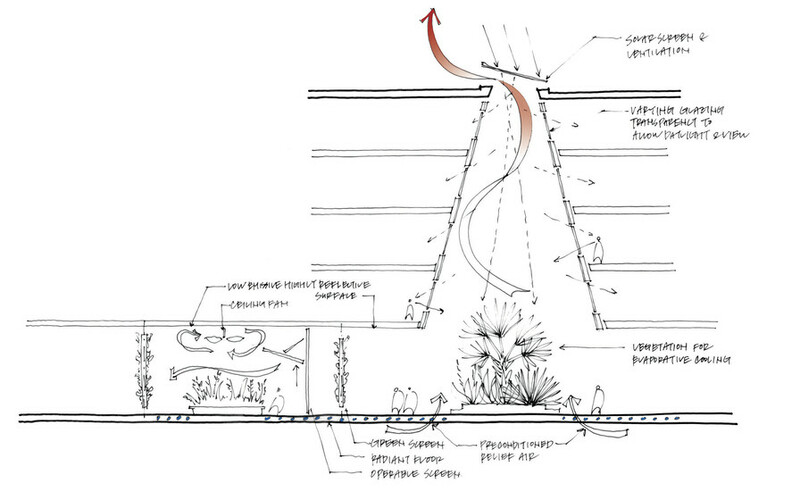 The lush gardens in these shaded outdoor spaces provide a sense of coolness in the arid environment.